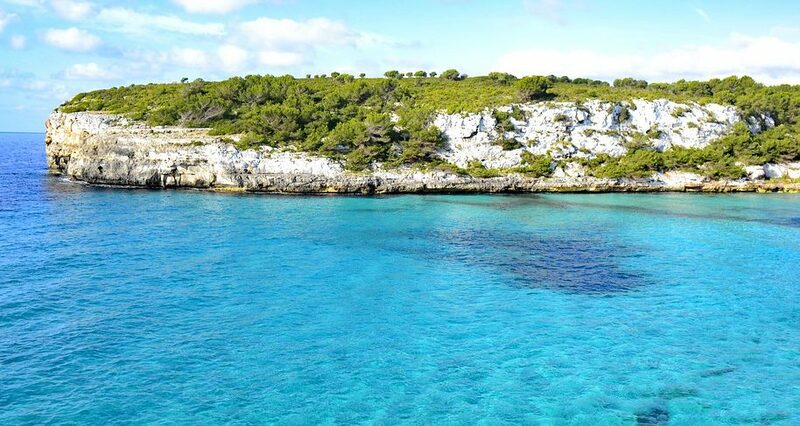 Majorca is one of the most famous and radiant islands of the Balearics, and also in the Mediterranean. Anyone who is up for sunbathing, white sand beaches and hot summer nights filled with never ending parties should definitely not miss the chance to go there. Still, this Balearic island has even more to offer than the infamous turmoil. Once you’re away from the crowded tourist places, calm and isolated beaches await your arrival and invite you to go snorkelling. A sailing trip is the ideal way to explore the island – with perfect wind conditions all year long. We recommend to sail counterclockwise, as the island can be quickly circumnavigated. Discover the four different coastal sections and be awed by the sheer variety of things to see and do. 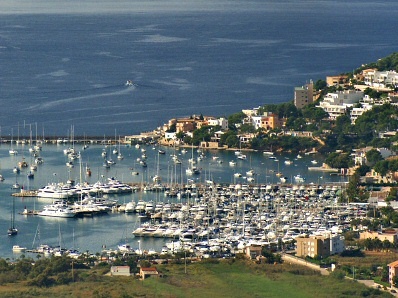 Start your unforgettable sailing trip in the southwest of Majorca, in the harbour of Palma. This is the perfect place to get to know your boat and equip it for your week-long journey. This marina offers a large number of superbly equipped supermarkets – no wonder, it’s one of the most important ports in the Mediterranean. And no matter which type of vacationist you are – Majorca’s biggest city has something to offer for everyone. Visit the Cathedral La Seur, the Plaza Major or Almudaina, and afterwards enjoy a nice dinner. If you´re feeling spoilt for choice with all of the many cosy restaurants and bars to choose from, we’re happy to help you decide. Go to the market hall Santa Catalinas, sit down at the bar “Joan Frau” and enjoy the absolute best Paella in Majorca. If you’re not too full afterwards, be sure to explore Palma’s famous nightclubs before going on your sailing trip the next morning. On your first day aboard you will set sail in the direction of Sa Rápita. It’s port “Club Nautico Sa Rápita” is a great place to anchor and go for lunch in one of the numerous restaurants. However, Sa Rápita can will not only delight you with its gastronomic offerings. Already had enough of the many people roaming the streets? Go to the calm, remote beach to relax in the sun. If you’re a sports enthusiast you can also use the gentle breeze to try out windsurfing! Have a delicious glass of red wine for dinner and enjoy the view overlooking the nearby island of Cabrera. The next day we set sail towards Porto Cristo. Pass the Punta Salinas, the southernmost point of Majorca, and enjoy the route which leads us past some breathtaking bays. Anchor in one of those bays, such as Cala sa Nau, to go swimming or snorkeling. The limestone walls and the many caves are particularly well-known amongst climbers, but you can also relax in one of the beach bars before moving on. Next stop: Porto Cristo. Once you arrive you can chose between two ports – “Puerto de Porto Cristo” and the “Club Nautico de Porto Cristo”. If you´re still up for exploring some of the sights in this area you definitely shouldn’t miss the dragon cave “Coves del Drac” in Porto Cristo. 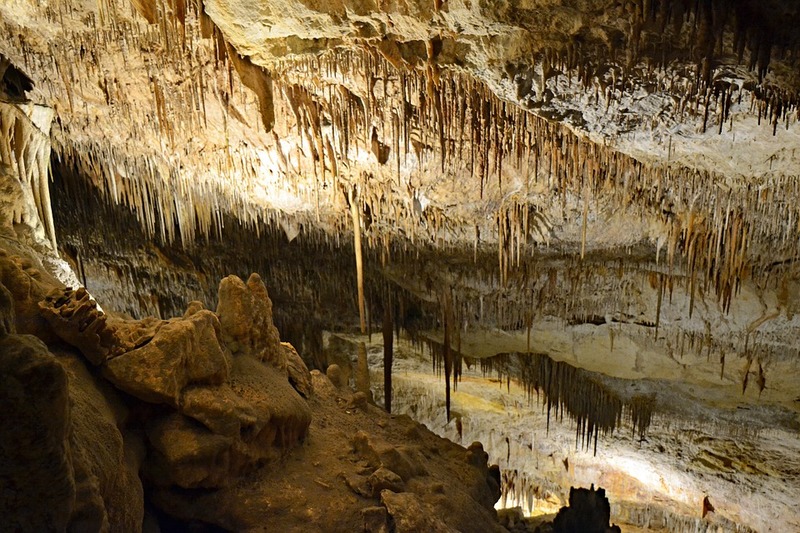 This drip-stone cave hosts the largest underground lake in all of Europe – breathtaking! The picturesque old town with its countless historic buildings also has a distinctive charm. Start your day early and head towards the port of Alcúdia. This ample marina offers a great infrastructure, hence it has already won numerous awards of excellence for its equipment. 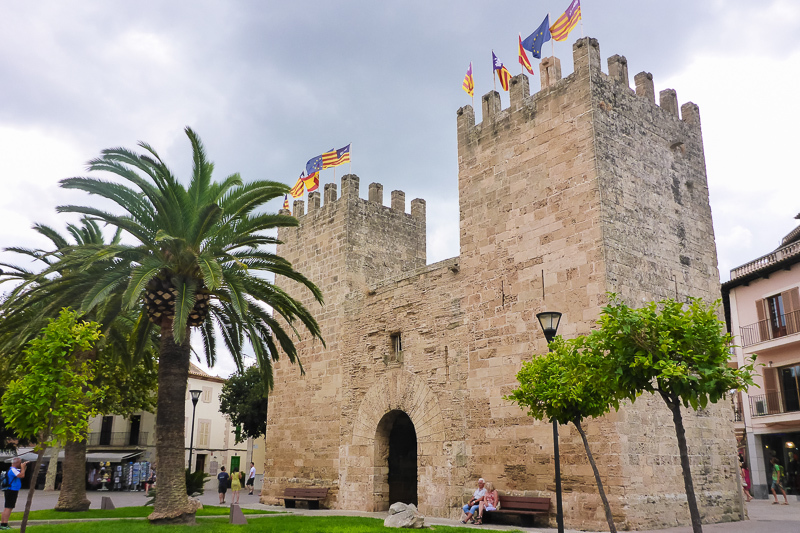 Alcúdia is the oldest town in Majorca, so you should absolutely visit this lovely old town. Since your sailing trip has already reached its half-way mark, it’s now time to stock up your boat. Don’t forget to fill up the water tanks and charge your batteries! For filling up your food supplies you can go to the market in Alcúdia, which offers a splendid variety of fruits and vegetables, but also clothing, jewellery and souvenirs. Afterwards be sure to go for a stroll through the old town to see the impressively pompous city walls, dating back to the Middle Ages. Enough with the sightseeing? No problem, the beach here offers a perfectly relaxing alternative. Go to Cala des Clot, the Cala Solana, the Platja d’Alcúdia, or the Platja des Coll Baix to enjoy the Mediterranean sun and calming atmosphere. To have dinner visit the delightfully cosy restaurant “Como en Casa”, which is located directly on the port. Here you can relish the Spanish specialities and delicious wine! After a relaxing breakfast with a magnificent view onto the sea, head towards Port de Sóller. 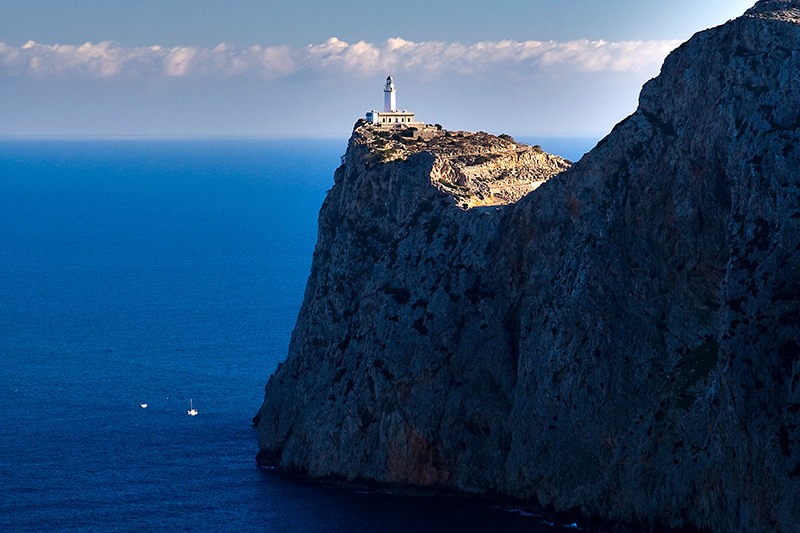 On your journey you will get so visit another highlight of the area known as Cap Formentor. This impressive cliff marks the northernmost point of the island and is lovingly called “meeting point of the winds” by the locals. Here, the so-called “four big brothers” meet, the winds Tramuntana, Ponet, Migjorn and Llevant. The steep rocks that arise from the deep blue waters and the lonely old lighthouse on top of the salient, will leave you amazed. After taking the time to gaze at the scenery, its a good idea to continue sailing towards Port de Sóller. The largest natural harbour in Majorca is located at the small port of Sóller – a city home to only 2700 inhabitants. That’s why the small town is to a great extent, free of mass tourism and has hence preserved its unique flair. A particularly lovely experience is a ride with the “Red Lightning”, which connects the island capital Palma with the village Sóller. In open wood carriages from 1913, the route passes lush orange and lemon groves as well as impressive mountainous landscapes. Don’t miss out on this unique ride! 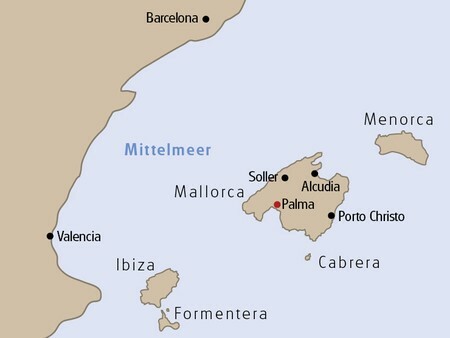 Our next stop is the port of Andratx in the south-west of Majorca. Sailing experts can sail in the small strip between Majorca and the small island of Dragonera to reach the Port d’Andratx, one of the most beautiful harbours on the island. The village radiates a true Spanish flair, due to the vast amount of surrounding pine trees, orange trees and almond trees. Before heading back to Palma you should enjoy your last day to the fullest. Visit the “Palau de Son Mas”, a castle-like city hall with adjoining botanical garden, or the church of Santa Maria, a small Gothic church built in 1236. Port d’Andratx is particularly famous for its luxurious yachts and impressive sailing boats. So keep your eyes open – you might have the chance to spot a movie star, athlete or politician on one of the high-class ships. After spending the night in Andratx, our sailing trip around Majorca is unfortunately coming to an end. Now set the sails towards our launch harbour Palma, to end this unforgettable sailing trip around the famous Balearic Island. 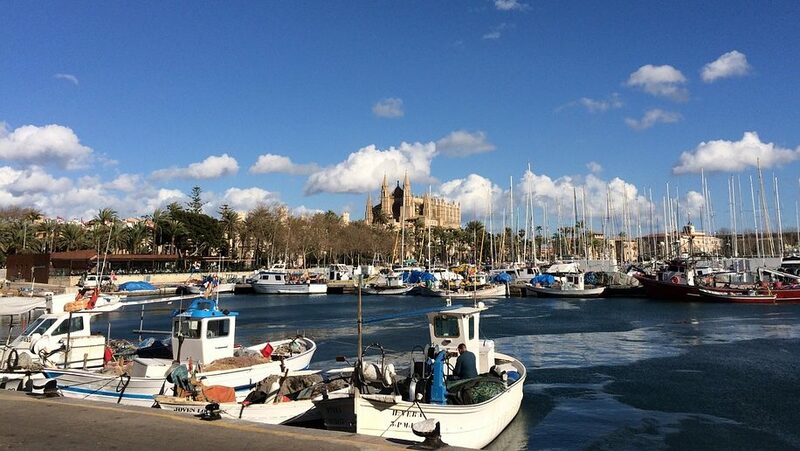 Have you already sailed around Majorca? We would love to hear your favourite places and recommendations!